Beautiful Yellow, Red, and Black fully sublimated jersey with the Grim Reaper on the Front and Back. "114 Miles", "12,000 Feet of Climbing", and "Dan Thomas Memorial Ride" on both sleeves. 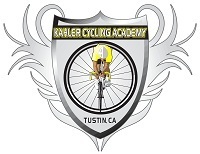 You have to complete the 4 Passes of the ride in order to qualify to purchase these special jerseys at the Ride Finish or later at the Kahler Cycling Academy in Tustin, thereby guaranteeing their exclusivity and prestige value. 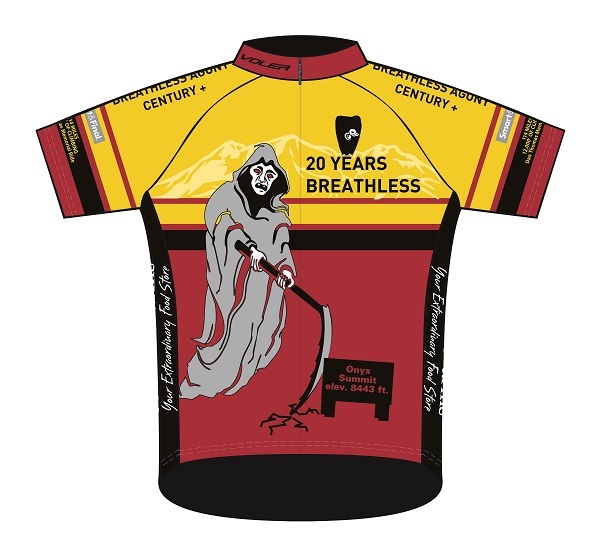 This high-quality jersey was designed by Jill Kahler and Eric Snyder, Voler Artist. Manufactured by VOLER Team Apparel. This design does not include the year on it ... so you can order it if you ever completed the 4 Pass Breathless Agony Century. For instance, if you completed the 4 Passes of the Breathless Agony Century in 2009 but not since, you can still order this Jersey. Of course, we expect and want to see you on the Breathless Agony Century again in the future ... in your Voler Jersey!! 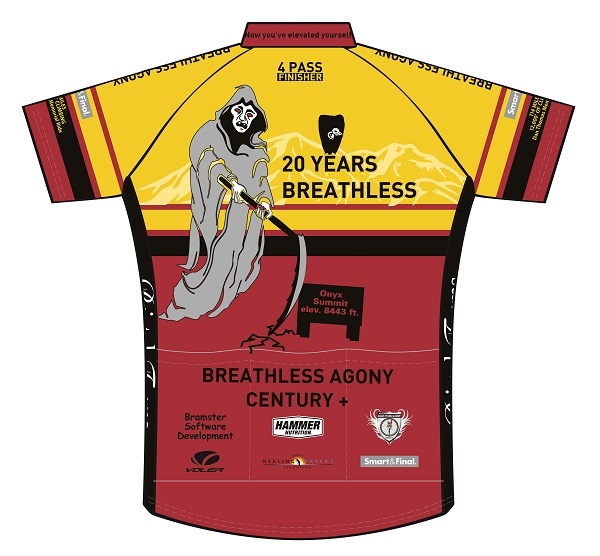 If you have completed the Breathless Agony Century with all 4 Passes including 114 Miles and 12,000 Feet of Climbing in a prior year, you should come out and buy one of these Jerseys at the Finish at Sylvan Park in Redlands!! If that doesn't work for you, call Robert Kahler at (714) 832-1865 and drop by Kahler Cycling Academy at 117 North Prospect in Tustin. If you'd like us to ship you a Jersey, there is an Order Form Here. Do not order a jersey before you have successfully completed all 4 Passes of the ride.